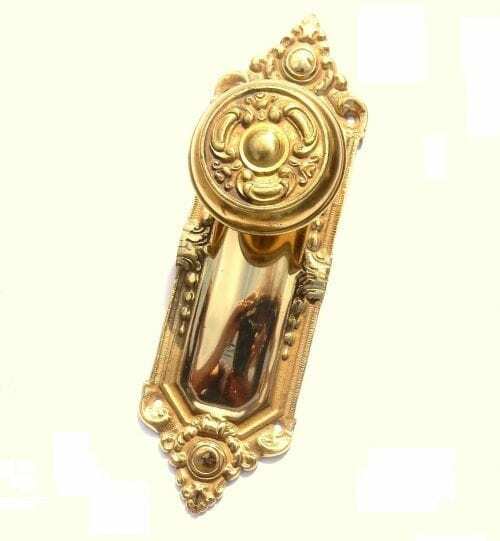 View cart “Solid Brass Jerome Knobs and Plates Set” has been added to your cart. 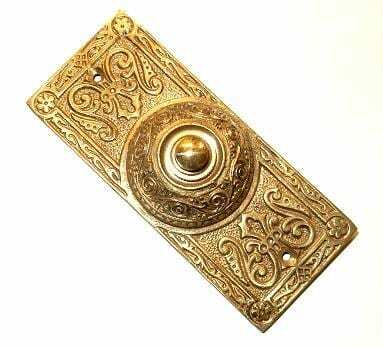 Solid Brass Magnolia Door Knobs and Plates Set. 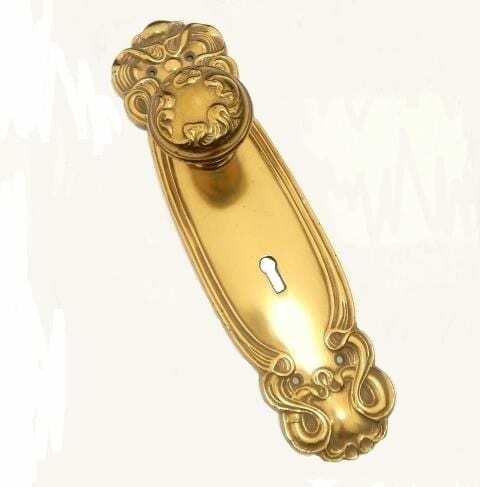 Originally patented in 1909 by Penn Hardware, the “Magnolia” pattern was used at the end of the Victorian era, a style that has come to be known as Eastlake. 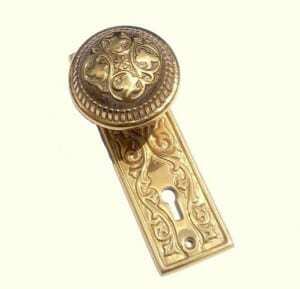 We have interpreted the original design into a lovely set of solid cast brass hardware. The set is composed of two back plates, two slip on knobs, a shaft that connects the two knobs by set screws, and two set screws. 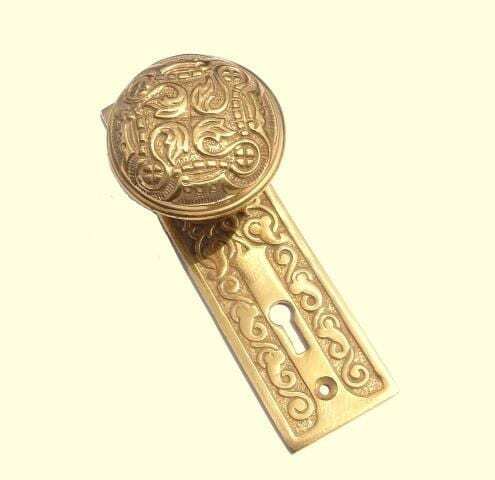 This set will not work for predrilled doors, nor can it be made into “dummy knobs”. 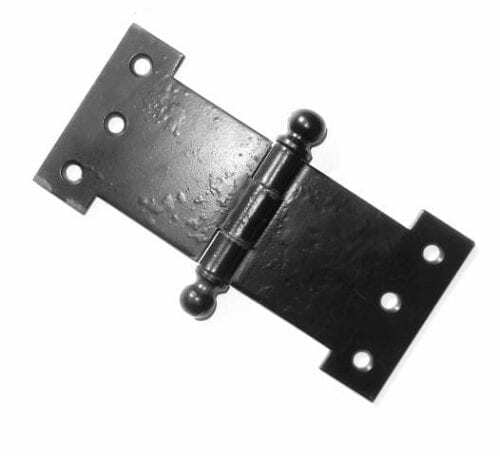 They do not come with any latch or locking device.